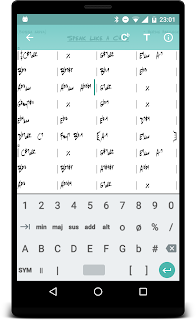 The Fakebook app contains more than 1600 chord charts, all carefully crafted and proofed. 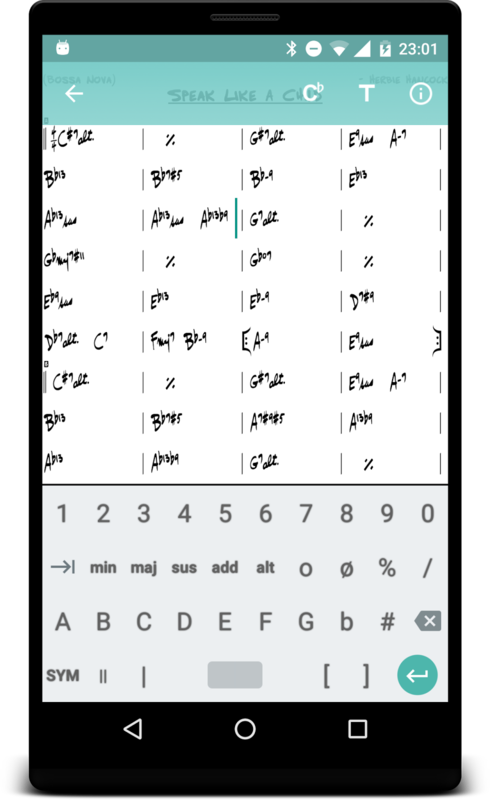 Still, you might want to modify the layout or change a chord to taste. Add or correct some lyrics. Or just add a new song or text. Now Fakebook Pro has a great built-in editor for both chords and lyrics. With a custom chord and symbol keyboard the editor is quick and easy to use, both for small changes and for adding new charts. The new version also includes an improved transpose function, editable and searchable comments and book names, along with other updates and fixes. Fakebook Pro version 2.5.0 is available now from Google Play and Amazon.